Whether you’re a venture-backed unicorn or a fledgling pre-seed startup, no one knows the hustle of business more than the beginner team. In those initial weeks and months of launch, it feels as though you’re working around the clock: eating, sleeping, and dreaming about opportunities. While the idea of the garage office-turned-corporate superstar a la Apple, Inc. is romantic, the truth is this: an environment that was specifically built for your work and not something else (garage=cars) will foster productivity and jumpstart creativity multiple times over. The 21st century startup needs an office that is flexible, adaptable, appealing to investors, and a mirror of the strong potential it holds within. Often after launch, during initial phases of business testing–this is especially important for tech companies–times will call for “hackathons:” a day or weekend set aside to fix all the minor bugs or solve small tasks that fall outside the lines of the larger project. Hackathons are a great way to get everything off the to-do list for the team and clear up potential long-term issues. Or perhaps you simply need a regular brainstorming space–contemporary office furniture and tech solely dedicated to creative pursuits as you face future-forward. 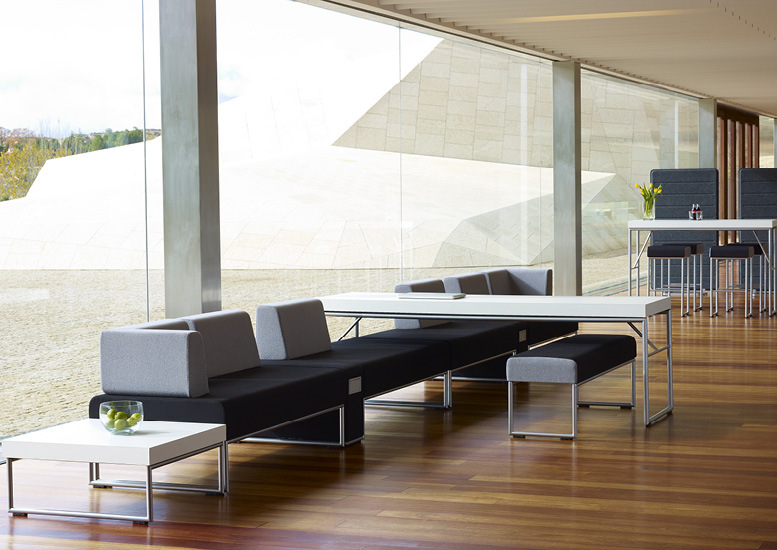 This is also what Cal Newport referred to as “deep work.” For those times when you need to break from everyone else and retreat into a quiet area, you need modern collaboration furniture that fits those needs. When you need to grab your team of designers, writers, or specialists, it’s helpful to have a break-out session space if you’re short on conference room real estate. 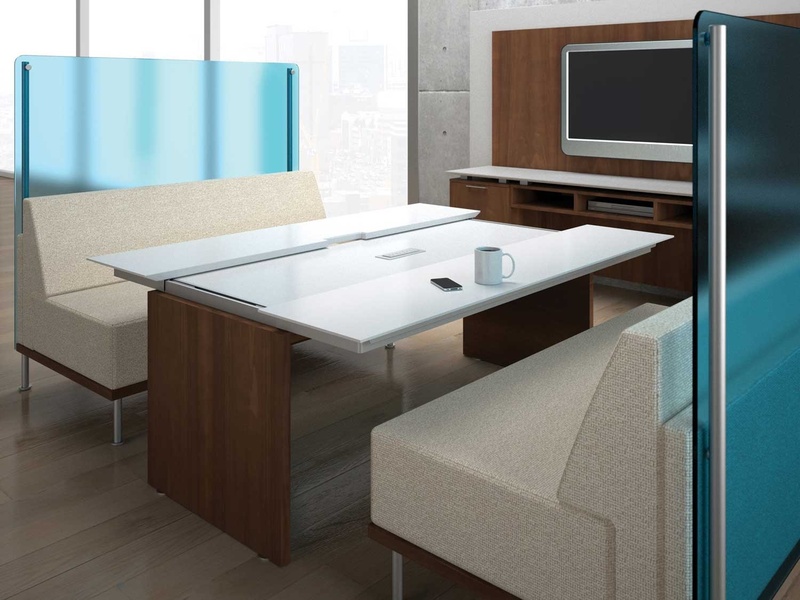 Your session space can be equipped with a smart mini conference table, comfortable modular seating, panels to absorb noise or lessen distraction, AV equipment to go through presentations, and more. For those half-days or weekends when you need all hands on deck to knock out the to-do list of small tasks, host a hackathon. A concept borrowed from tech startups, this hyper-focused time can be used to complete assets for marketing initiatives, sweep up the administrative stuff, clean house on code and fix technical errors, or to simply work through a problem that keeps getting set aside. Grab the team, order some pizza, and put the blinders on with a multi-use desk area that allows for connectivity and some privacy screens to focus. Are you operating on both the East and West coasts? 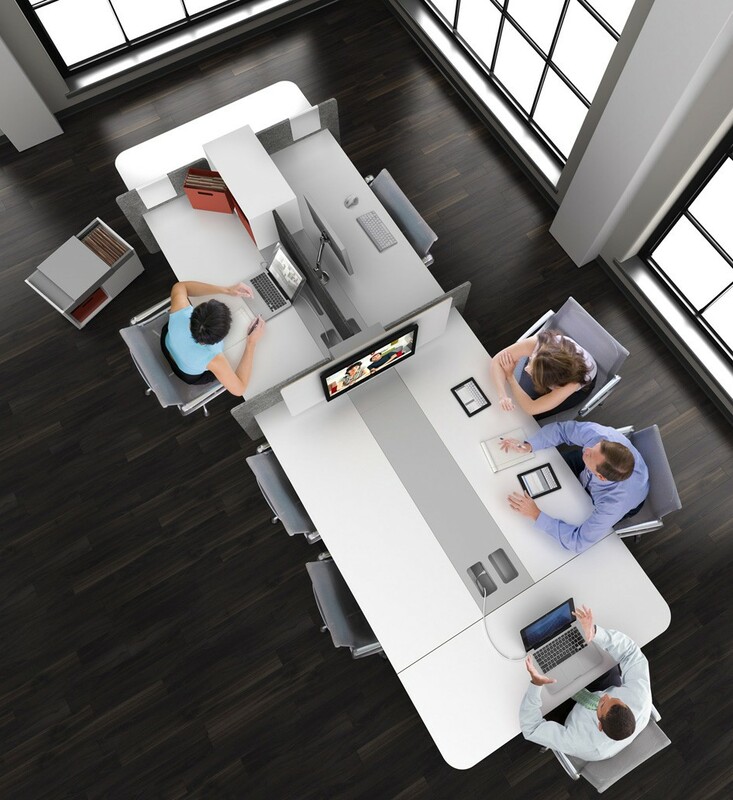 Bring the teams together with a comfortable, modern video conference area. Perfect for meetings with staff and stakeholders, a comfortable office couch, side tables, and low modern occasional tables and cabinets with a mid-century nostalgia create a seamless blend of sophisticated and minimal. No more dealing with everyone leaning halfway over a conference table to be in view with the receiving party. When you’re initially growing and moving through your first round of funding or meetings with investors, you’ll want to showcase a modern office that exudes confidence and maturity. The adage is: resonate success. Not only does a beautiful open office design make a great first impression, but it allows your first staff members and employees room to move and grow with the company. 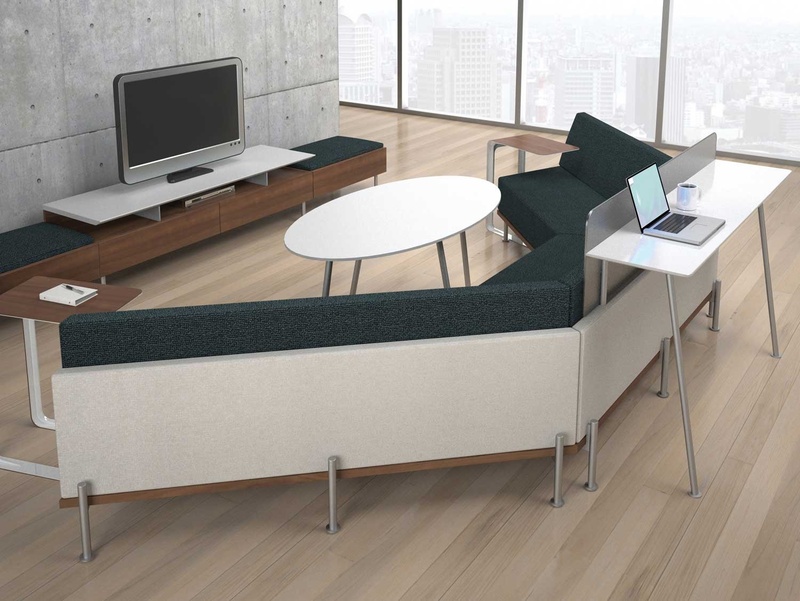 Installing quality couches, minimalist side tables, bar-height meeting tables and ergonomic furniture will foster movement and engagement around the office. Need noise reduction? Try modular acoustic panels. They’re as agile as you are at this stage in the game. There will definitely be those evenings when you’re the last to leave. In the early days when you’re building a remarkable company, times call for remarkable furniture. 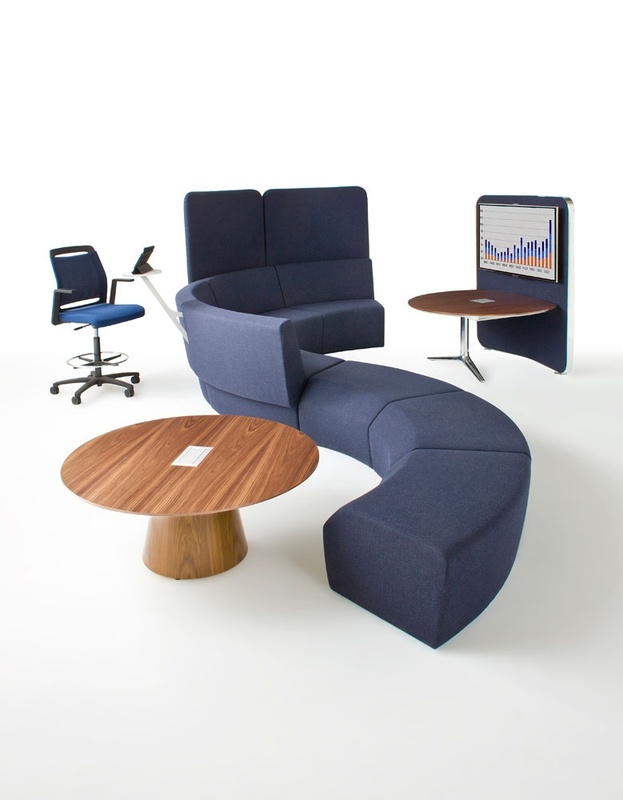 Using a curved couch creatively uses the footprint of your office to accommodate both comfortable seating and productive work space. Soon, you’ll see the fruits of your labor. For more creative ideas for start-up office design, check out our collections on StrongProject.